The Central Coast is tailor-made for a fun and easy family vacation that takes the pressure off. 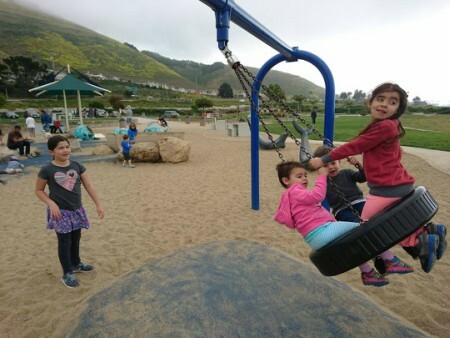 With its numerous beaches, ample open spaces for hiking and exploring, and museums and educational opportunities, you won’t be lacking in things to do with your kids that are both fun and appropriate. Now in springtime, with the weather improving, all the most popular Central Coast activities will be available for you! Here are our suggestions for the most enjoyable activities on the Central Coast that are perfect for kids and parents alike. When you rent a kayak and explore the Central Coast by sea, you catch a glimpse of another world that isn’t visible from the sand. It’s an educational experience that’s also a lot of fun for the kids – you might be lucky enough to see a whale or dolphin in their natural habitat! Don’t miss the chance to see more, explore more, and witness more when you kayak through the Central Coast. Try Morro Bay for a pleasant and open atmosphere, or visit Pismo Beach to explore the caves and cliffs and witness wildlife. To follow up this awesome experience, you and your kids can learn more about sea life indoors with a trip to the Central Coast Aquarium. If renting a kayak allows you to explore the ocean on another level, renting bikes lets you understand the Central Coast lifestyle on land. Check out any one of our trail suggestions, or try a new one, but we guarantee that you’ll find a new appreciation for the landscape of this rugged and beautiful slice of the California Coast. Keep in mind the difficulty of the trails and pick the best one for your family. 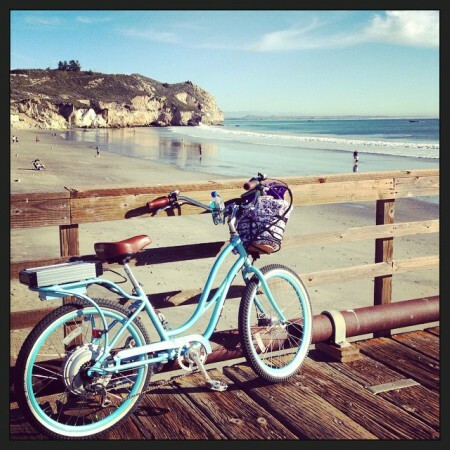 Biking throughout downtown SLO or alongside the ocean near Pismo Beach are some easy options. We’ve had a truly wet winter – so much rain! 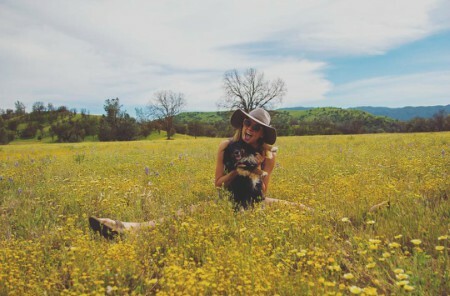 The good news is that with the greater amount of rain than usual, the springtime wildflower display is more breathtaking than ever, and there are some amazing spots to see wildflowers in San Luis Obispo County. Kids will love the bright colors and beautiful flowers; it might even be a great time to take some sweet family photos. And it won’t last forever, the flowers will die by the hot summertime, so take the time to see the wildflowers now! 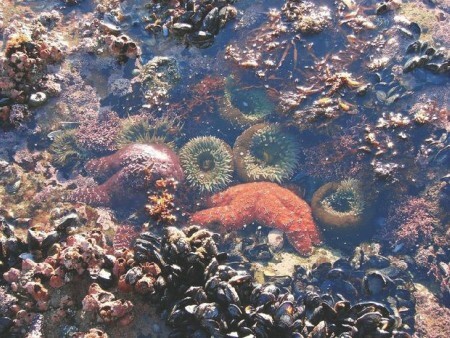 A outdoor activity that is both fun and educational, checking out the local tide pools is an excellent activity for the whole family. Be sure to check the tide calendar so that you can visit your preferred beach at a low-tide hour. 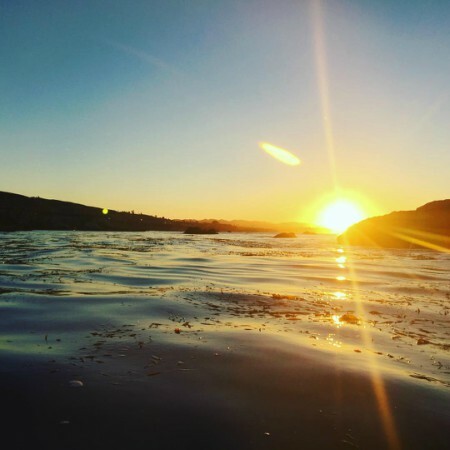 Follow these tips to maximize your experience and your enjoyment, all while preserving the life that exists in the tide-pools of the Central Coast! 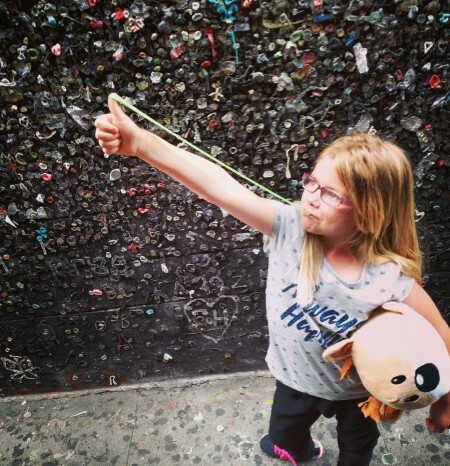 If anything is kid-friendly on the Central Coast, it might be the small alley, between two buildings, in San Luis Obispo that is completely adorned with already-been-chewed bubble gum. Bubblegum Alley has become a staple of San Luis Obispo and its quirky charm, with tourists and residents alike regularly leaving their gum on the adorned walls. This kitschy, small-town attraction is a fun place for kids; they can make their mark on the wall, or just laugh about the sweet smell of JuicyFruit throughout the entire alley. Due to its close proximity to several of Martin Resorts’ hotels and its wide open space to play, Dinosaur Caves Park is a must-stop for families with children. Bring a picnic lunch from Depalo & Sons or Hoagies in Pismo Beach and spend an afternoon playing, relaxing, and soaking up the sun on the oceanfront park. It’s situated atop the cliffs of Pismo, with a beautiful view and refreshing sea air. Additionally, if you’d like to explore the sand, the park is very close to stairs that provide beach access. Visiting the drive-in is such a classic activity, exciting in its novelty and simplicity. 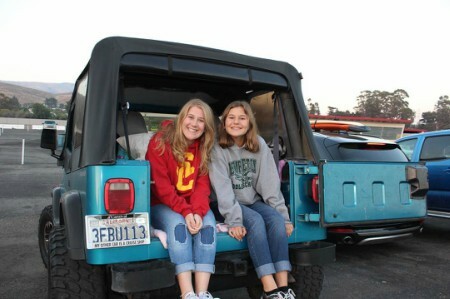 At Sunset Drive-in in San Luis Obispo, the price can’t be beat. A ticket is $8 and that includes two different movies, one usually showing around 8:30 and the other at 10:30. The releases are often kid-friendly, including the current lineup of Finding Dory and the Jungle Book. Even if you can’t make it through both films, the drive-in is an excellent way to spend an evening that the kids will delight in. 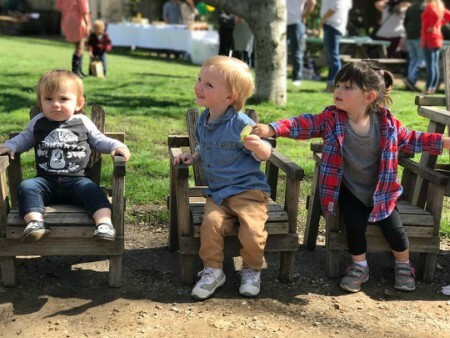 With enough activities for the kids and products, fresh produce, and more for you, Avila Valley Barn promises a fun afternoon adventure. Buy a few carrots and your kids can feed goats, pigs, sheep and more at their adorable petting zoo. You can experience anything related to farm life at the Avila Valley Barn, including tasting fresh pie from their country bakery, taking a fun tractor ride, or picking fresh fruit that you can take home for yourself.